I was asked to report my experiences on the design process and frontend development of virato´s Responsive UI. Several german online media portals published my thoughts. 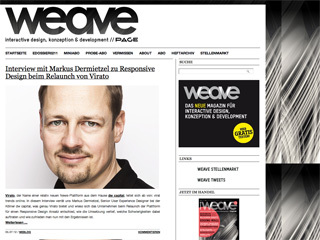 Weave published an Interview with me on Responsive Design and How-To-Techniques. Another Article in CREATE OR DIE refered to my slideshow on the basics of Responsive Design.